Way back in 2014 I decided to check out what Google Trends had to say about Power Pivot and Power Query global Interest. In case you don’t know, Google Trends will show you the relative frequency of people searching for certain words – it is a good indicator of interest in a topic. I published a blog article with a Google Trends chart way back in 2014 on this same page (this you are now reading the updated version). At that time I said that the sad thing about the chart was that the trends were linear, and I would like to see something more exponential! Well in 2015 Microsoft released the first generally available version of Power BI and since then continuous improvements have been made to Power BI, Power Pivot, and Power Query. Most importantly, Microsoft has been listening to the users to determine what improvements should be built and deployed. As you can see above, the Power BI trends are indeed exponential, exactly what I was hoping for 3 years ago. Power Query continues to grow slowly, and Power Pivot is in decline. One other interesting observation is that these search terms drop off a cliff each year between Christmas and New Year – A true sign that it is business interest that drives this product. Power BI is clearly the big thing here, but the other 2 products are the real work horses. 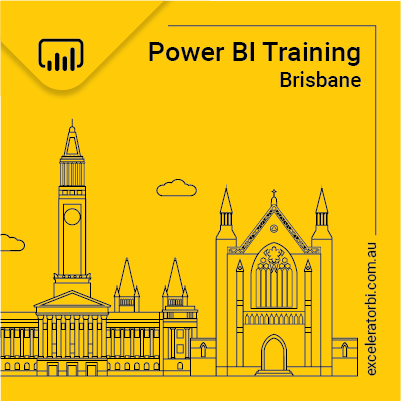 People are increasingly learning about the branded product Power BI, and decreasingly being aware of the engines that make the product run – I guess that is not overly surprising although I do find it disappointing, particularly when it comes to Power Query. Power Query is the engine that extracts, loads and transforms raw data from anywhere it resides, and gets it into the Power BI database. Power Query also is available in Excel (called Get and Transform Data). The fact that Microsoft continues to ignore this product as a brand in itself means that most people that could benefit from this cross application technology, don’t even know it exists. Actually, technology used inside Power Pivot for Excel, Power BI Desktop, PowerBI.com and SSAS Tabular is the same technology across all products = the Vertipaq database engine. Vertipaq compresses and stores the data and then makes all the modelling and (DAX) calculations possible at lightening speed. Microsoft doesn’t use the name Vertipaq much anymore, but I think there is a need to have a common name that describes this technology across all platforms. For this reason I am going to bring the Vertipaq name back in my communication moving forward. Great article. 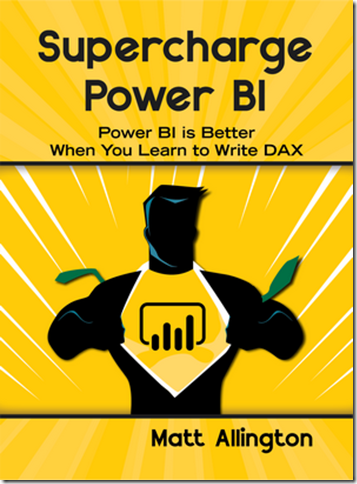 Agree that there’s little understanding out there about what PowerBI and Excel have in common. When giving an elevator pitch to laypeople about the PowerBI desktop tool, I tell them it comprises three things: PowerQuery (ETL), PowerPivot (Modelling), and a Visualisations layer. And I tell them that two thirds of that is bundled into the latest version of Excel. And then I say “Putting aside the value proposition of using PowerBI for a moment, there’s enough of a value proposition in learning this stuff based on the repercussions to your Excel users ALONE. Hi Matt, great post and it’s interesting to see how things have changed. I know I’m late to comment but I’d be interested to hear the arguments about why Power Pivot should be referred to as Analysis Services. From my perspective I think that it, firstly, may create confusion between which mode of Analysis services (e.g. multidimensional or tabular), and secondly, calling it even Analysis Services Tabular doesn’t feel quite right either because 1400 compatibility level tabular models contain Power Query. Power Pivot uses the Analysis Services Tabular engine (as you know) and yes there are version differences, but it is still SSAS Tabular. I understand what you are saying about the version differences with 1400 compatibility level however if you follow this logic through, any version of SSAS Tabular that is not level 1400 compatible should also not be referred to as SSAS Tabular. There should be no confusion of which mode of SSAS is being discussed here – it is Tabular, not Mutli-Dimensional (I agree it should be explicitly stated). From my perspective Microsoft has completely stuffed this up. The same engine (with version differences) is used in Power Pivot for Excel, Power BI Desktop, PowerBI.com, and SSAS server editions. The same technology is referred to in 3 different ways (Power Pivot, nothing at all in Power BI and SSAS Tabular in the server world). Until very recently Microsoft had complete stuffed up the naming of Power Query too (it is still stuffed, just partially stuffed now instead of completely stuffed). 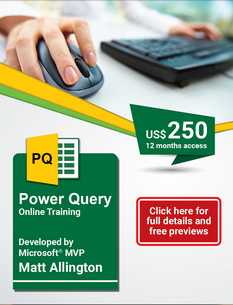 The PQ technology is available in 4 places including Excel (Get and Transform Data), Power BI (Get Data), Dataflows (Power Query) and SSAS 1400+ (not sure what it is called there). In the last 6 months MS started to call this Power Query again in the PQ UI but not in the main menus. This change was made quietly – probably because it was embarrassed to change track after so many people told them so. Prior to this there was no mention of Power Query in the Query UI of any of these products. This has always be a big mistake in the same way that trying to rename Python or R as something else would be a big mistake. I believe people (people that use these technologies at least) are big enough and mature enough to understand they are learning a technology that is embedded in a software product. People learn Python and use it inside software products. They can also learn SSAS Tabular and Power Query and use what they learn across a range of products that leverage those 2 engines. What would be much better actually is to keep calling the engine Vertipaq or xVelocity and keep the term SSAS Tabular for the server edition. I would be very happy if we could say “Power Pivot, Power BI and SSAS Tabular all use the Vertipaq engine” – that would be perfect in my mind. To this end, I contacted Jeff Wang (the father of DAX) and asked his opinion on these 2 options. He recommended either “the DAX engine” or “Vertipaq”. I have decided to take your feedback on-board (James) and use Vertipaq from now on. But someone from the Excel team did mention that it will “soon” work with Data in the Data model. Actually Power Querry should be renamed ETL(Exstract, Transform and load because this is what the software does and this abbreviation should be used every be it in excel or PBI. Great Article! Keep up the kind sharing!